What is Undue Influence and How Does It Affect a Will? 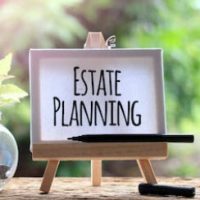 A will lets people determine what happens to their property when they pass away, but sadly, some people intentionally confuse or intimidate a vulnerable person to alter their will or create documents that they wouldn’t necessarily create on their own. This is known under Florida law as undue influence. Often times, family members of the individual won’t know about the new documents or the influence until their loved one has passed away. By that point they may be dealing with a will or estate plan that the deceased person wouldn’t have wanted at all. Undue influence frequently happens when a person is vulnerable due to isolation, decreased mental faculties, or physical dependence on another person. In those situations, it can be simple for a caregiver or other person to manipulate the vulnerable individual to achieve their own goals instead of the goals of the vulnerable person. This manipulation may only affect the terms of a will or estate plan or may be part of elder financial abuse. Florida law states that interested parties, such as family members, who suspect undue influence may contest a will and if the will is found to have been made due to undue influence, it may be set aside by the court. However, contesting a will and proving undue influence can be costly and time consuming. Diminished capacity or vulnerability of the person who made the will such as a decrease in mental faculties or illness. Unreasonable and/or unexpected terms in the will such as leaving out a close member of the family with no explanation. The person who made the will was dependent on the person that is believed to have exerted the undue influence, such as an elderly person that was dependent on the care of a single person. Proving undue influence can be complex because often the perpetrator that caused the undue influence may appear on the surface to be a devoted family member or friend to the victim. Was the accused beneficiary present when the will was signed? Was the accused beneficiary present when the person making the will claimed they wanted to change the will? Did the accused beneficiary recommend the attorney that drafted the will? Was the accused beneficiary aware of the will’s statements prior to it being executed? Did the accused beneficiary provide the attorney drafting the will with instructions? Did the accused beneficiary choose the witnesses for the will? Did the accused beneficiary offer a safe place to keep the will after it was executed? All of these things will help determine how much involvement the accused beneficiary had and whether undue influence was really a part of the will’s execution. Pursuing an undue influence claim can be complex and difficult. That’s why it is important to have an estate planning attorney on your side. Tampa attorney David Toback has years of experience helping their clients through all types of estate planning issues. Contact him today to schedule a consultation.